I have a Coleman PMJ8960 Jumpstart System. It's a portable jump-start battery for your car. So far, I have never used it for my car. But it has a fluorescent work light that can last all night on its 10 amp hour battery. It has been my late hour working companion for years. Recently, this companion would not hold a charge. Maybe I should have let it drain completely. Or maybe the battery is just too old. So I took it apart, hoping to replace the battery. The battery is a "Fuli FL12100", 12 volt, 10 amp hour battery. But I can't find this battery anywhere online! It's almost as if this battery doesn't exist. So my favorite companion sits there on the garage floor, lifeless until I can find a way to revive him. Well, I cared more about the work-light than the jump-start capability. So I modified this Coleman PMJ8960 to use a BP4-12 battery pack, because I have an old BP4-12 sealed maintenance-free rechargeable battery from an old UPS, which no longer works. After charging the battery all night, I tested the system and the work-light turns on. But the next day, it no longer powered up. I'm sure it was just the battery was too old. But that gave me a new hope to put life back into the work light. When I looked up the price of the battery on Amazon, I found the "Hi-Capacity SLA UPS Battery for Best Technologies, SL Waber & Tripp Lite (BP4-12)" for $30.66 with free Super Saver shipping. A new Coleman PMJ8960 was priced at $39.99 before shipping (see "Related Links" below). Now it's a debate whether it's more cost effective to get a smaller battery for slightly less than the whole device, or to replace the entire device, which includes a battery that is twice as big. Coleman battery booster thing needs...Positive - Negative... etc. do you happen to know what settings I need the cord to be on??? A HUGE thank you in advance for any help you can give me!! Yes, I do. When I get home, I'll post the power specification for the charging adapter. The adapter I use with it is 12 volts DC, 800 mA, and positive center pin. I say the adapter I use with it, because I think I lost its actual adapter. But this one works with it and is the one I use. Did you find a battery? I have two bought new in August of 2009. Still in box. I seemed to have lost the charger power-cord too. I found another cord, but not sure if it was the original. It has INPUT: 120V ac 60Hz and OUTPUT: 9V dc 500mA, will this work on PMJ8960? I don't know much about voltage, just don't want to burn the unit. Anyone, please let me know. Thanks!! I think you will need a 12 volt adapter to charge the 12 volt battery inside. The 9 volt adpater you have probably won't be strong enough. I don't know, Ben. But that sounds risky. I wouldn't that that. I would guess the big alligator clips are for output only, not for charging. Hello, i have a 12V Jump Start w/Air Comp 17Amp, just like motst owners here, i lost the wall charger. i have a stand alone 6v/12v charger, so was thinking of coonecting the stand-alone direct yo the interbal battery to charge it. Has any one tried this option before? I am looking for a battery for my Coleman Powermate jump box #PMJ8960-T. The battery was a Sunnyway #SW12100. 12Volt-10amphr. I have attached a copy of a picture of the battery. You will notice it has bolt on terminals and not spade like the currant models have. Can anone out there help me??? I have found several of these batteries listed, and I am waiting to here back from a couple folks on price and availability. The web site for CooPower lists a battery that is much larger than what I actually have, so I am waiting to here back from them if that is just a typo. Speaking of typos, I really do know the difference between "here" and "hear." Purchased my PMJ8960 in december of 03, worked fine untill this year 2011. Now battery will not hold a charge. Flourescent worklight works fine.I only paid 30 bucks for the thing so if a battery that might works sells for the same thing, I think I will just upgrade and use the worklight as needed. Just google RT12100 which is a RITAR battery that mine has and you will find several mfg. Another one is UB12100. Also ebay has several available.This stands for 12volts 10amp hours. Mine has 12V 10AH/20HR. The battery takes a constant voltage charge with initial current less than 3.0 amps. My charger is a 12V 500ma (0.5 amp) with the center of the plug positive (+). Any 12 volt DC charger less than 3 amps should be ok. Obviously a 1 amp charger will charge it quicker than a .5 amp will. I received from my son a Coleman Powermate PMj8960 emergency automobile battery pack with two 12v accessary outlets. I want to know if the battery charger that came with this unit is the proper one. The charger is a Garrity Industries, inc. class 2 power supply. Input: 12vac 60hz 10w. Output: 12vdc 500mA. Center pin positive. Thanks for the help. It'll probably work, Richard. The 12 VDC 500 mA center pin positive matches others in this thread, so it should work. Class 2 Transformer, Center (positive). I haven't looked for a replacement battery as yet but probably will have to or buy a new unit after what I see what this charger will do. or the charger isn't working...guess I have to put a meter on it to see. I lost my power cord. How and were can I replace it. 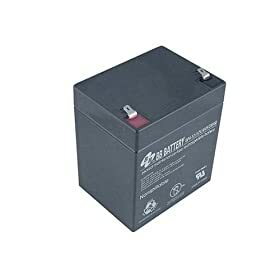 anyone tried to revival the battery by putting it in the freezer or open the battery and put epsom salt in it. try revival car battery on youtube, you will see lots of video. http://www.youtube.com/watch?v=2JIzSxqWids take a look at what this guys is doing, I think add some epsom salt would work better. Bought a PMJ8960 new from a hardware going out of business. Have charged it twice for over two hours but it won't hold a charge. Any ideas how to get it to work? Hi Margaret. Does the light on the carrying handle come on? I think the AC adapter provides trickle charging. Try charging it for 8 hours and see if it works. Thanks. The light works only when it is plugged in. :) I will try charging it all night and hope that will work. Thanks for the suggestion. Charged that sucker all night. Ten minutes after unplugging it the light turned on,but the next day the light would not shine!! Any other ideas? Since it has a sealed battery I don't know what to do. The internal battery is bad. The only thing you can really do is to take it apart and replace the internal battery. Depends on how much you bought it for and how much you can pay to buy a new one off Amazon or somewhere, it may or may not be worth it. See the top of this thread for battery replacement. Okay, did a bunch of research, and found a source for a replacement battery, from a company based out of California! The name is Tempest Battery, and their website is www.batteryspec.com. The exact replacement battery is TR10-12C, and it has the T25 1/4" nut and bolt terminals. The rating is 12V 10Ah. The original battery inside is Fuli FL12100S (the S is the nut terminal version), or the Sunnyway SW12100 (it appears sunnyway has discontinued the nut terminal, as it is not listed on their web site). Others have stated the BB battery 1290 is a replacement, but that is NOT the full equivalent of the original, because the BB is rated at 12V 9Ah, so it is smaller in capacity, and so performance is probably worse than the original. For those who have lost the charger, you can get a 12V 500mA charger, or you can charge the battery through the jumper cables with a 12V battery charger (set on "AGM" as the battery type, not wet or gel battery). The original battery is a sealed AGM type battery. batteryspec.com has a host of other batteries as well, so you can type in your model number (like PMJ8960) in the search window, and they will come back with an equivalent. I don't work for the company, but just spent several hours trying to find a replacement battery, and thought this might help someone. Sorry, there was a typo: The Terminal type is "T5", 1/4" Nut and bolt terminal. like everyone that owns this jumpstart system(pmj8960), I have also lost my charger. I believe the correct output voltage on the charger should be 13.8 volts dc, like your car's alternator, if its working properly will be operating at about 13.8 volt dc. if you were using a transformer to power an item that operates on 12 volt than a 12 v charger would be correct, but this jumpstart is used to power 12 volt equipment. if you were to charge this from your cigarette lighter, which is a great way it would be charging at 13.8 volt. you can use a 12 volt transformer to charge, but the jumpstart will never be fully charged. Check batteryspec.com I was searching for a replacement for a Powermate PMJ8160BL and was able to locate battery on the site for $34.00. Hope this helps.